The global market for electric dental handpiece is growing due to the rising incidence of oral and dental problems. The entire medical fraternity has been making ardent efforts to ensure that the field of dentistry is equipped with the latest technologies, which has given a boost to market demand. Furthermore, the market has undergone significant changes with the introduction of more advanced and nimble forms of dental hand pieces. Dental hand pieces are used by dentists for a range of oral treatments including scaling, filling, and capping amongst others. Not only do dental hand pieces facilitate better treatment but also reduce the pain caused due to the patient. It is anticipated that the global market for electric dental handpieces would grow at the back of swift adoption of new and advanced equipment within the field of dentistry. Moreover, people now-a-days have become increasingly concerned about their oral health that has led them to go for dental treatments more often. This has also influenced the demand within the global market for dental hand pieces and has created growth spaces for the market vendors. There has been a shift from manual ways of treating dental problems to the use of advanced machine-operated devices. The emergence of electric dental hand pieces has reduced the manual work of dentists and has given them a more convenient option for conducting treatments. Besides this, the geriatric population and children are two of the demographics that have contributed to the growth of the global market for electric dental handpieces. The global market for electric dental handpiece is undergoing a phase of constant expansion, thanks to the continuous rise in the global geriatric population base and infrastructural advancements in the medical and healthcare industry. Analysts expect the market to continue witnessing remarkable growth in the years to come. 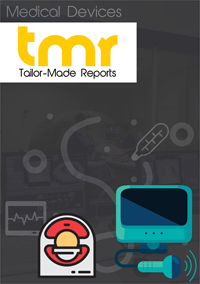 The main aim of this research report is to provide clear and unbiased information about the worldwide market for electric dental handpiece to consultants, stakeholders, and other participants of this market to assist them in making well thought of decisions about their businesses. The global market for electric dental handpiece is gaining substantially from the rising prevalence of oral diseases across the world. As per the FDI World Dental Federation’s Oral Health Atlas, 2015, 3.9 billion people have been affected by oral disease, worldwide, particularly with untreated tooth decay that impacts nearly 44% of the global population. The global market for electric dental handpiece is expected to gain substantially over the years to come from the rising research and development activities, improvements in the global medical and healthcare infrastructure, and the increasing investments by leading players in developing economies, especially in the Asian region. However, the high cost incurred in the procurement and maintenance of electric dental handpieces, and the easy availability of relatively cheaper products from local vendors may limit the growth of this market to some extent in the years to come. Among all the regional markets for electric dental handpiece, North America and Europe has been holding the leading position due to a number of factors, such as the continuous increase in the geriatric population, easy availability of advanced dentistry instruments, and the presence of highly-skilled dentists. These regional markets are anticipated to remain on the top over the next few years, thanks to the presence of a highly advanced healthcare infrastructure and increasing healthcare expenditure. KaVo Dental GmbH, Dentsply Sirona Inc., A-dec Inc., Nakanishi Inc., DentalEZ Group, Bien-Air Medical Technologies, SciCan Ltd., W&H Group, Brasseler USA, Dentamerica Inc., J. Morita Corp., Lares Research, and Being Foshan Medical Equipment Ltd. are some of the key participants in the global market for electric dental handpiece. The business landscape in this market is highly competitive due to the presence of a large pool of participants.